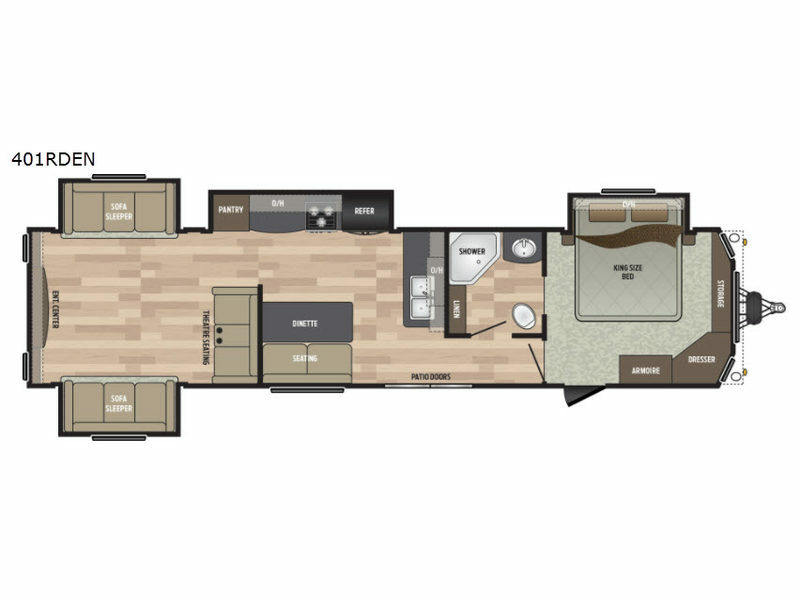 With this Residence destination trailer, the only thing you'll need to bring with you is your suitcase! This model offers everything you will need for a longer stay if the boss gave the okay. 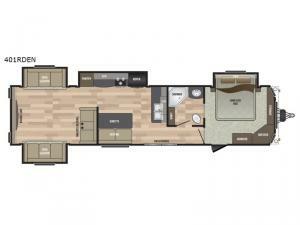 You will be able to sleep on your own king-size bed in a private master suite that has its own exterior entrance, and with the armoire and full dresser, you will have plenty of room to store your belongings. The rear living room with dual opposing sofas and theater seating will be your favorite hang out spot when the weather isn't right for outdoor fun. You will also find the 60" dual pane sliding glass doors in the kitchen provide additional natural light and a grand view.